Bunny drunk on power. Power! Or an artist or something. I'm petitioning for mermaid status. Happy screw Columbus day. Just an update to say that I am working on the orders that came in the last two weeks of the last Isidore sale. I should have everything into the mail between Thurs and Sat. I had a bit of a surge in last minute sales at the end of September and had to order more decks/books, but books are here and decks are arriving in the morning. 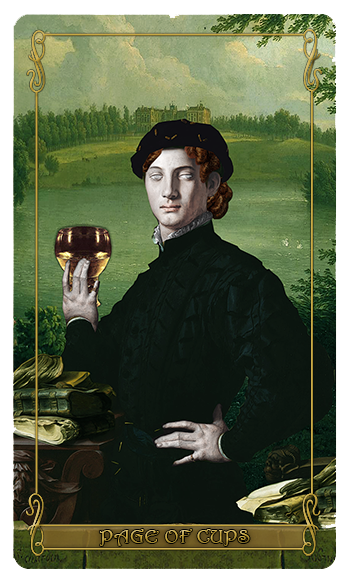 Given that I have my IndieGoGo campaign going on right now for the Lydia Tarot’s debut, the Isidore deck probably won’t go back on sale till the new year. I will fully admit the last two Isidore sales were high volume and have been taking quite a bit of time to get packaged and off to their new homes. It was a bit overwhelming and I am doing my best to manage demand and how quickly I can cover that demand. Though thank you! Demand is not a bad thing. ;) Maggie is covering the inbox this week, so if you want a confirmation on the date your deck is shipping please feel free to drop us a note and she can look it up for you. It’s finally October!! *does witchy happy dance* I’ve been making up for my lost autumn of last year (when my infamous attic stairs of doom accident occurred) and have already hit the apple festival, apple butter festival, and visited Brown’s farm several times for pumpkins. I’m serious about the autumning this years. :) Updates for this week include the Tea Bats Lenormand going on sale Wednesday until Halloween. The autumn packaging for the Isidore Tarot will be available briefly then as well. And today I’m making spirit boards for our seasonal Halloween decorations. 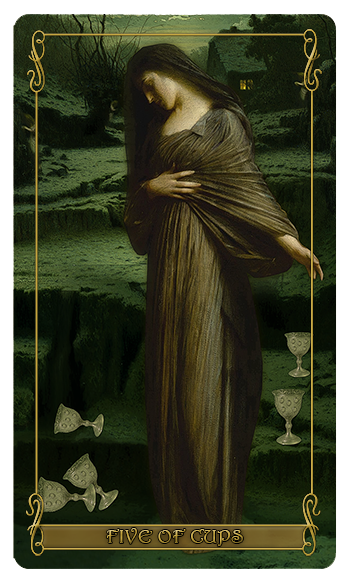 The Lydia Tarot pre-ordering is still going on over at IndieGoGo. The deck funded the second day into campaigning and now we’re not too far from hitting our first stretch goal. More to come. out of me on the nightly 3am bathroom break. She’s modeling our Tips Von Tea/Tea Bats Design. Touch the shirt to see all our shirts. 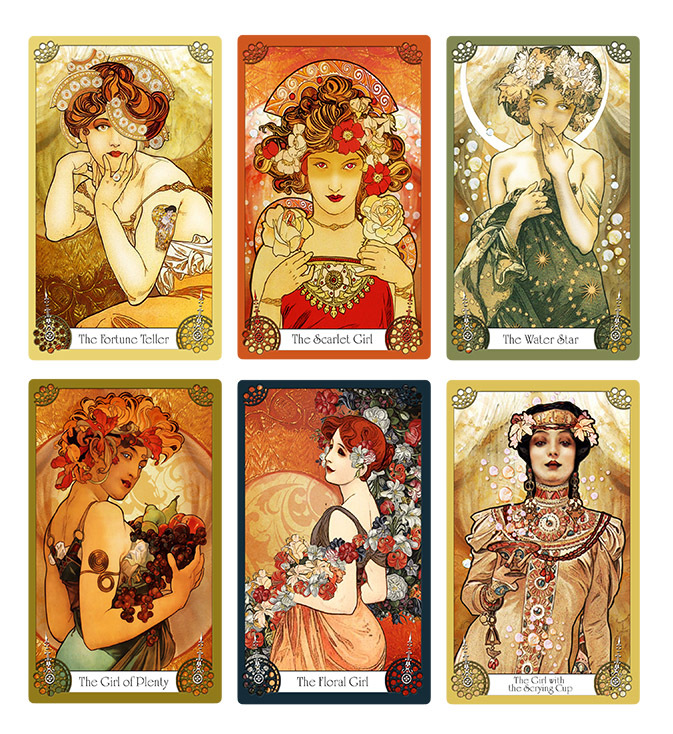 The Attic Shoppe Trading Co. offers tarot lovers (and coloring book fans) an opportunity to add their own creative colors to an already naturally beautifully colored deck. 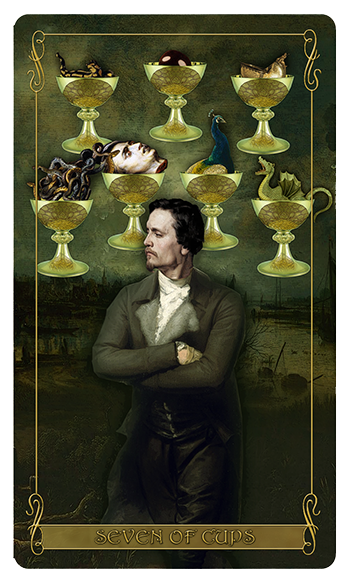 Explore here the major arcana for the popular Isidore Tarot deck that are a series of collages using the incredible work of illustrator J.J. Grandville. And once you’ve moved through the tarot itself, you have a variety of Grandville’s original works to lay hue and atmosphere to. This coloring book is from original collages from our shoppe artist Bethalynne Bajema, from the works of J.J. Grandville. We look forward to seeing how others paint these incredible snapshots of this fantastical world! And honestly there is no tarot knowledge or curiosity needed! These are snapshots of wonderful places. Everyone is welcome! Purchase on Amazon. The Attic Shoppe Trading Co., a fantastical place that offers even more fantastical wares, invites you to take a tour of their Attic world in 80 pages (or more) – coloring book style! Visit places where fairies can be found hiding within the blooms and tea bats sore in the sky above as they balance their tea cups on their heads. Visit a butterfly circus and swim with mermaids. Take a look into hidden corners of the world we’ve seen. And let us introduce you to the most unique of all delivery services thought lost to vintage times. The automaton Bly acts as your host through this brief tour of our Attic world and all the many things we have to offer. And now we invite you to add your own colors and style to our ready to color Attic pages. Purchase on Amazon. 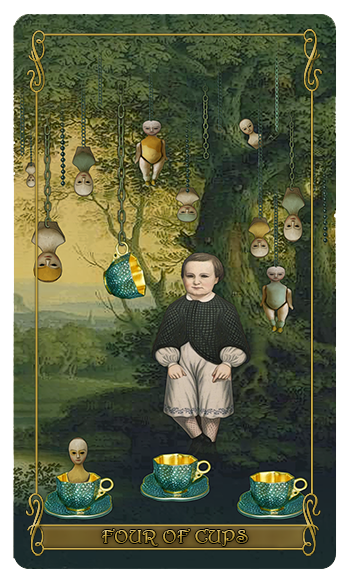 The first preview of all of the cups suit for Madam Lydia Wilhelmina's Tarot of Monsters, the Macabre and Autumn Scenes cup suit. This deck will be available again first of September. Happy August to you! There aren’t too many updates for today. I’ve had a little downtime over the weekend for health stuff and have left the aetherweb to mostly scheduled social type updates. I do have a schedule for upcoming sales (specifically decks) here now. 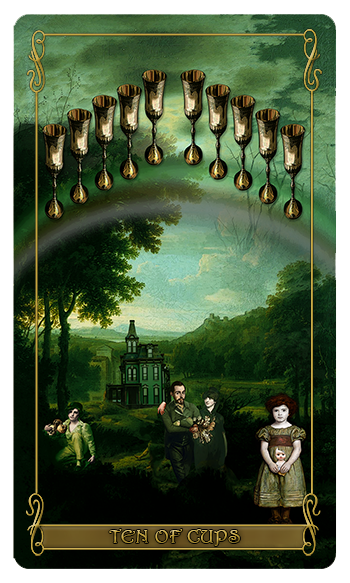 I also have had new previews of the Madam Lydia Wilhelmina’s Tarot of Monsters, the Macabre and Autumn Scenes (formally the Attic Halloween Tarot) deck’s new minor arcana. You can see them here. I’m finishing up the swords suit at the moment. The feedback so far has been really wonderful. Quite a bit of (I’m actually going to say it) exciting Attic Shoppe deck stuff happening as we move towards autumn, the best season ever! I feel like I have to make up for last fall. I missed most of it and my shoppe was on a time out. Now a few last things: The Sea & Sand decks have been ordered and should be arriving the start of next week. The companion books are already in. This means next week the post office will love me as I start bringing in the first orders ready for the post. I will be getting caught up on Isidore doll size tarot orders today. I honestly didn’t think that little imp of a deck would do so well! Thank you all for that. I will also be getting caught up on the inbox this evening. On that note, I have some shoppe work to tuck into. Have a wonderful august day! And august! Can’t believe it’s august already! I’m pleased to announce that we have our second coloring book that will be available just as soon as my proof copy shows up any day now. My aunt loves coloring books. It’s become her favorite hobby. I enjoy sending her books and giving her my tester books to see how she likes them. That’s how I decided it would be neat to have a coloring book for the Isidore Tarot. She liked it and our coloring book loving customers have really liked it. So I’ve been tinkering on new ones. For this past Steampunk Symposium convention I created a commemorative coloring book that featured Bly and her many costumes. It also served as an sort of advert for the Attic Shoppe in an old time, vintage sign sort of way. I took some of the coloring pages from that and some of the coloring books I’m currently working on and combined them together to make a tour of the Attic and all the different fantastical places our artwork features. Below is a sample of the cover and a few sample pages from the book. It’ll be available through Amazon. I hope it’ll be well liked! It is coming up on 5pm and I’ve been awake since before 6am. My all day work binge of Altered Carbon is coming to a close and all I want to do is get some sleep. Or a cat nap before finishing out the night. It’s been a productive day though. The Attic Shoppe now has a more streamlined shopping cart and catalog. The shopping cart isn’t live yet. On sale items will take you to our Paypal account to finish out the transaction. The site needs a secure certificate so we can run the premium shopping cart plugin. That takes a bit of an investment so that will be coming soon. I like the new catalog a lot. It allows me a very simple and clean way to display all of our drygoods. Most of the day has been simply product adding to the catalog. I have to apologize that packages did not get to the post office today. They will go out tomorrow when I have a driver. I am currently not in driving mode. I call my accident the rotten gift that keeps on giving even after nearly a year here in a month. This time it has given me a blood clot in my injured leg. That was discovered yesterday afternoon when my leg suddenly looked all uh oh. Tomorrow I get my vascular scan to see what is going on in there and then treatment. In the meantime, just to be safe, I’m on house rest. Needless to say it is rustled up my nerves a little bit. Thus the no sleeping. But hey! All that dedicated work got done! So now that I am just one episode away from the end of my second binge of Altered Carbon (and I’ve officially overdosed on actor J.K.) I’m moving through the last of my spirit board products. Speaking of which, recently I found a new method of laying my basic board designs right into the wood of my boards. It’s not as vibrant as an art print with varnish of course, but it does have a very excellent, old timey look to it. I can give them a really worked over, vintage look. I have also almost finished my first handmade tarot purse. 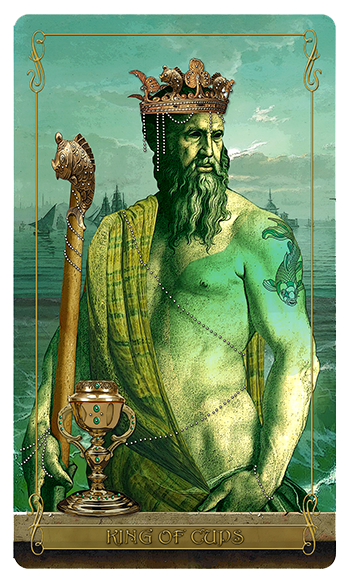 It’s the Fool card from the Isidore Sea & Sand edition. I did some hand beading and decorating to it and I just need to sew it all together. I love it! I’ve been wanting to do that for awhile. I think I’m going to make something in the same vein for my Oracles & Flutter-Byes deck. And don’t ask me where I find the time. If I’m home and awake my hands have to be doing something. Better that something be productive. I mean… I once spent that time on Neopets. Neopets my friends. 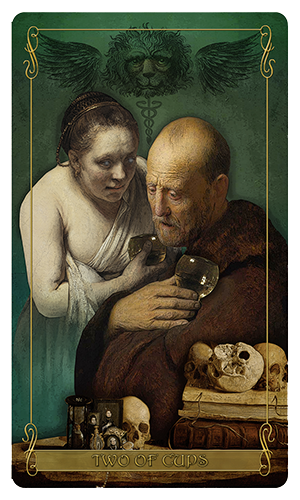 It’s been quietly sitting on the back-burner for awhile now, but I have been making additions to our Halloween tarot deck’s minor arcana as time permits. A card here, a card there. Now it’s time to start showing them off a little each week to lead up to the Halloween season when it will be available again. You can visit my Attic Cartomancy page for this deck to keep an eye on its progress. Well it’s official! After a twenty year friendship and the ten years of that time spent engaged, the gent and I finally made it official. This is the two of us being wed by our good friend Ted. My big brother’s new wife (and my new beloved big sister) Sara acted as my witness and maid of honor. We didn’t plan a thing and just went with it. And it ended up turning out perfect. We married on the 4th of July and headed back home, stopping half way in Ft. Wayne Indiana. Our hotel room overlooked the Tincaps’ baseball field. We could watch and listen to the game from our room and see nearly every fireworks show across the town from our view. It was a really good day and evening. Now I’m back home and getting back to shoppe mode. Part of that is going to be some fundraising. While we were back at my aunt’s house (the original Attic Shoppe as I like to say) we started the process of finishing off the house painting. It went much quicker this time, but then we didn’t need to scrap and prime the entire house this time around, just give it color. We found an insect issue with the wood though. The plumbing is also in need of some serious repair and replacement. The furnace was replaced when it went out over the winter and the electric reworked to accommodate it, but now those loans are needing to be paid off quickly so we don’t slip into the doubled interest phase. You know, normal house owning woes for someone retired and living off a fixed income. So you might ask, what has that to do with my shoppe or you? Well this is the only place for me to earn the funds to help my aunt out. This means I will be running a variety of special sales to raise some funds. 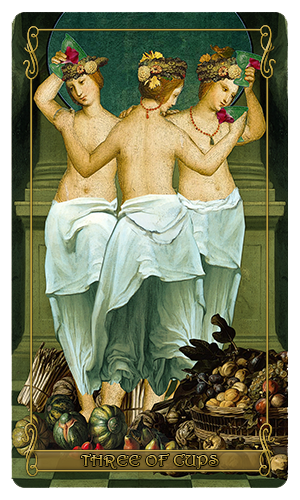 A lot of this will involve the Isidore Tarot as it is wonderfully versatile and popular. 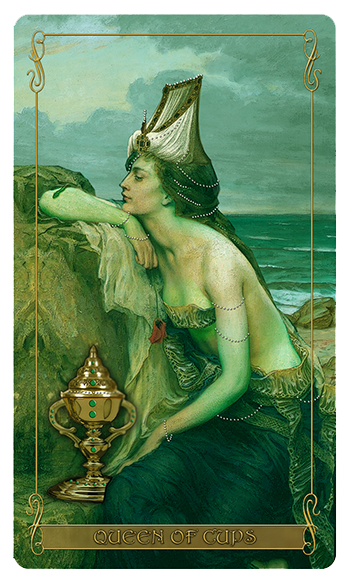 So look for one more sale of the Sea and Sand Spring Edition of the deck. A few custom versions of the deck I will be offering to help with house funds. And lastly the start of a pre-order sale for an autumn take on the deck. I will also start rolling out Halloween items I’ve been working on. So basically it’s just more shoppe stuff, but more of it because I have a goal. Takes to the sky like a bird in flight and who will be her lover. Alright, I’ve finally jumped into the oracle pool feet first. I should have plugged my nose! I think I have purple water on the brain. 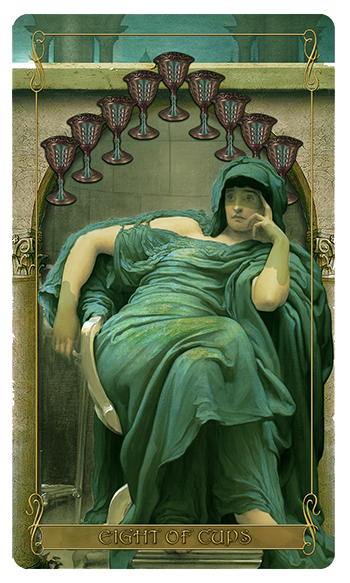 That aside, I’ve been finishing up on my second oracle deck. It’s expanded a bit, developed a deeper personality and meaning, and its whispers are getting a little louder. That’s how it starts for me typically. This deck is a chatterer. It’s telling me stories about who my oracles are and what I might find them to be. I updated the info on its page found here. Don’t get excited, we’re not carrying really cool Pop critters. This is just a snapshot of my weekend with the gent after our trek to Trader’s World in Lebanon Ohio. That place is so bizarre as far as massive flea market under one roof go. We always try to vend there towards autumn when our convention season slows down. Of course, I didn’t schedule too many cons this year as I didn’t know if I’d be up to it when nabbing table time was happening last year. We were doing the Steampunk World’s Fair this year but that went bust. Anyhoo! We brought home Kyle, Death, and Zero. I was simply gushing when we ran into Death. How often does one get to say that happily? Just a few notes about stuffs. Mostly social stuff. I took a break from the workshop this afternoon and have been connecting all of our social media accounts and getting them updated. I’ve slacked on that a bit due at first to the state of my noggin (I was on a very limited diet of electronic screens when my eye and head owwies were healing) and then my rather old phone. I think I bought my tiny Virgin Mobile phone in 2010. My gent helped get me back into the modern age so now my swanky phone has all the bells and whistles. Took a little while. It gets expensive when you fall down go boom with the state of US medical billing. Clawing out of the red one nail at a time. Anyhoo! (Yes. I like that not real word.) I’ve updated all of our accounts and got them linked to one another and got excited to do this thing that is social networking! Then I noticed how miserably small our follows are. So I’d love if any of our visitors who are reading this and wouldn’t mind might give us a follow? We’re on Facebook, Twitter, Instagram, and Tumblr. A lot of our links go to my personal accounts since I posted most frequently to them about shoppe stuff. We’re looking to be a bit more professional. Any follows would be greatly appreciated. And I think we’ll do so more free giveaways to promote again once I get back from Michigan. Alright, back to work. Have a good day and try to stay cool! We’re failing here, as shown by Gremlin… he’s just done. The Isidore Doll Size Tarot is back! In a variety of ordering options. :) Click for details. Just a quick update. 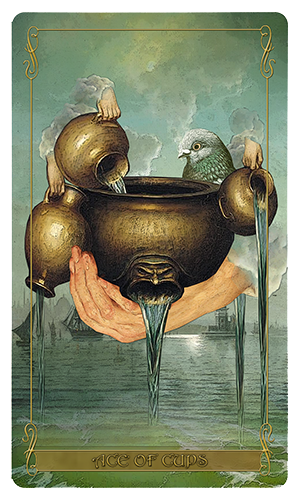 I’m nearing the end of getting orders for The Black Ibis Tarot and extended-sale-bought Sea and Sand Isidore decks into the post. I had a slight hiccup when we discovered my Sea & Sand book order was short by four books. Instead of delaying shipping, I included a book with the third edition cover with a note that I’ll be shipping out the Sea & Sand covered book when they arrive, which should be tomorrow if UPS isn’t fibbing me. 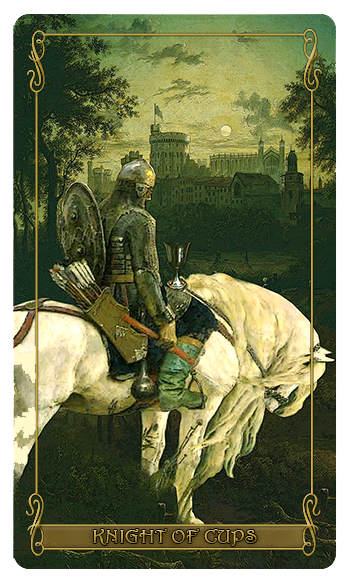 The Sepia Stains Tarot sale ends tomorrow. Orders for that will begin shipping within a week or so. 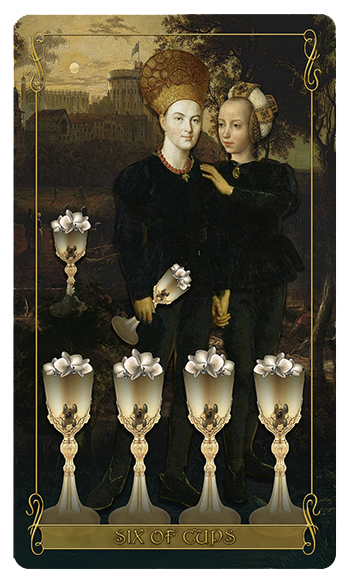 The third edition of the Isidore Tarot is on sale again through the 14th of June. With the exception of a quick sale for the doll size tarot (which I’ve yet to have enough time to get online – I apologize) the shoppe will be taking a brief break on deck sales. I have to return to Michigan again in a few weeks and I want to have a little downtime to make sure all orders have been filled and check tracking on shipped orders to make sure they reached their new homes. Home trips that are all go go go with the family are so much easier when I’m not worried about the shoppe. 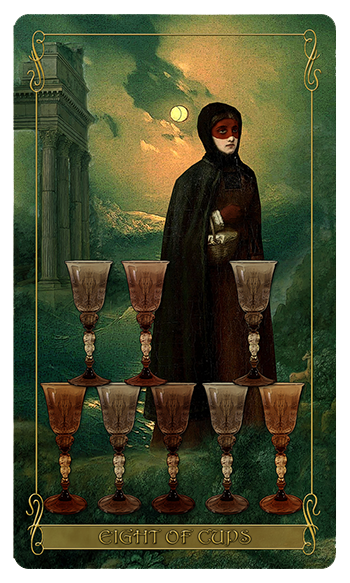 Lastly, the response to our Orange Moon Oracle deck has been really wonderful. I had mini prints for sale at our last few outings and they sold out. 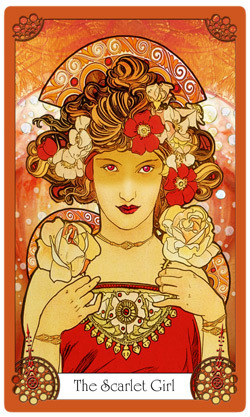 I credit most of that to Mucha and his beautiful work. The art collages for the deck are done. Much of the meanings and usage for the oracle has been written. Maggie and I are refining those meanings and how the deck would be used. Right now it’s mostly a deck for meditation. That aside, come July if I feel comfortable with the state of the deck and I’m able to get all my family matters in Michigan sorted out, we may take the plunge and do a proper crowdfunding campaign over summer. I’m not sure about that yet. There is so much work that goes into just being a mostly lone shoppe-keep trying to keep up with normal daily business. Those big campaigns can get insanely overwhelming between all the planning and promotion. I’m going to see who I can call upon to help me out with it. So more about that later, though I blog about it more here. Anyhoo! Now I am off to have a date with my new glasses. Turns out when you drop yourself on your head, even after you think all the healing is done, some new body gremlin pops up and starts gnawing on something while singing old Bryan Adams tunes. In my case it’s the come and go headaches, the in and out decent vision, and I could seriously be rude to a puppy when I get any sinus issues behind the place in my face that holds all my brand new shiny orbital parts. Seriously rude! Like I’ll turn on that little puppy and tell it is totally not cute. I didn’t realize just how real that could be till the sunny afternoon I was standing outside watching a snow storm of blowing dandelion bits rushing my way. You’ve never heard someone scream “GIIIIIITTTT TTOOOOO THAAAAA CARRRRR!” as loud as I did. Life is always interesting. Always. I hope you’re all having a good summer. Maggie says hi. She’s officially on vacation for a week so no inbox for her.